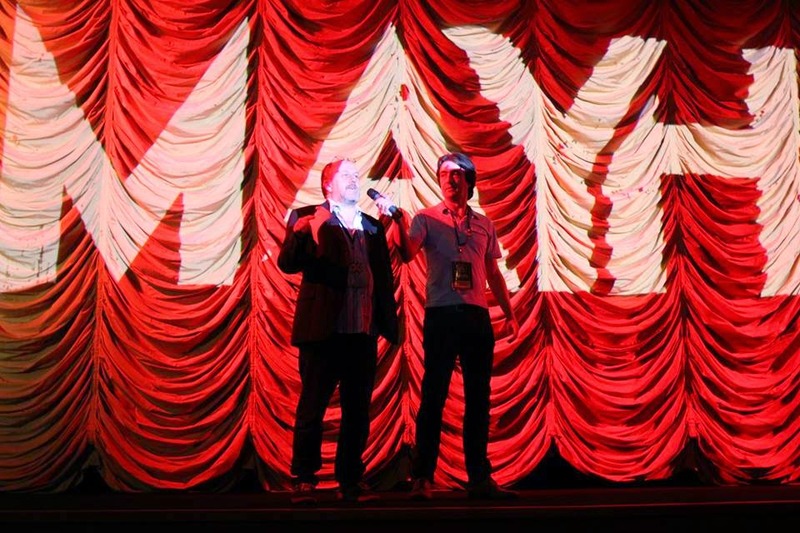 October 30th kicked off the 10th Anniversary of Broadway Cinema's Mayhem Horror Film Festival, and amazingly, it's come and gone already. Prior obligations ended up preventing me from seeing as much as I normally would have, but the programme was really varied and exciting, and I wanted to provide a brief overview of some of the highlights. Programmers Steven Sheil and Chris Cooke really made an effort to do something special for their 10th anniversary, and they've included everything from '70s-throwback slasher films to vampire parodies to 50's oddities in their selection. 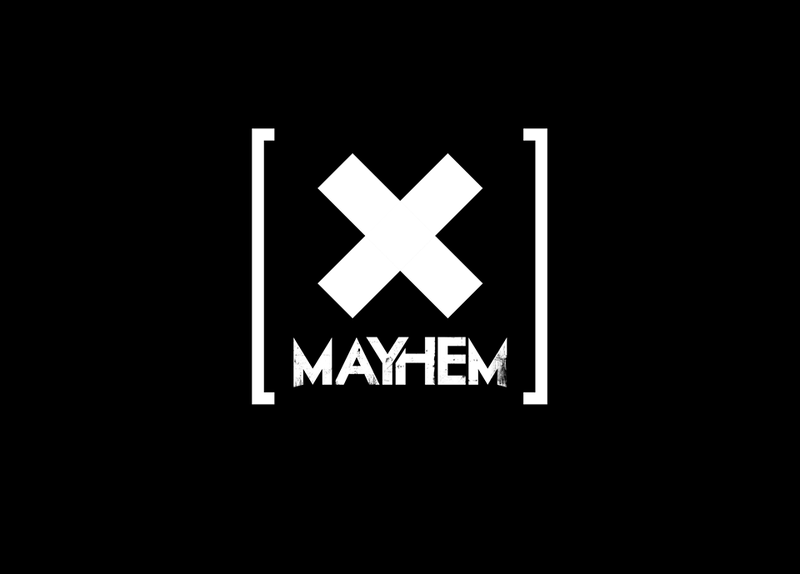 Excitingly, Mayhem has more plans for 5-7 December. They've paired up with the BFI to take part in its ongoing Sci-Fi season, 'Days of Fear and Wonder' - and will be screening some gems around the theme of 'The Created Woman'. Their screenings will include Solaris, The Stepford Wives, Metropolis, and Weird Science.To that end, Mayhem will be branching out to explore the female body as a symbolic site of transformation, anxiety, and fear of sexual difference. Matthew Kennedy, Conor Sweeney, and Adam Brooks - otherwise known as The Canadian filmmaking collective Astron-6 - were in person to introduce and discuss their work on Thursday evening. 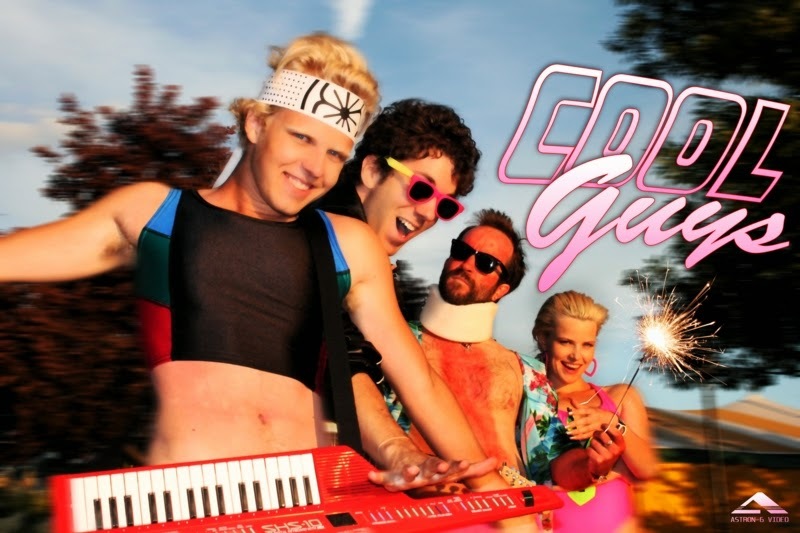 It began with a little anthology of their short films, all filmed with an '80s VHS aesthetic but a very 21st-century self-awareness. The subjects of their parodies range from the zombie film to the Troma horror, with trailers for imaginary films like Bio Cop, featuring a grotesquely squidgy-faced mutant forced into a uniform. These playful DIY films poke fun at a huge range of sci-fi and horror tropes, and star the filmmakers themselves, who also do their own special effects, stunts, writing and producing. With names like 'Objectified Woman #3' rolling through their credits, Astron-6 aren't ever going to be accused of being earnest or highbrow. For that we can all be thankful. 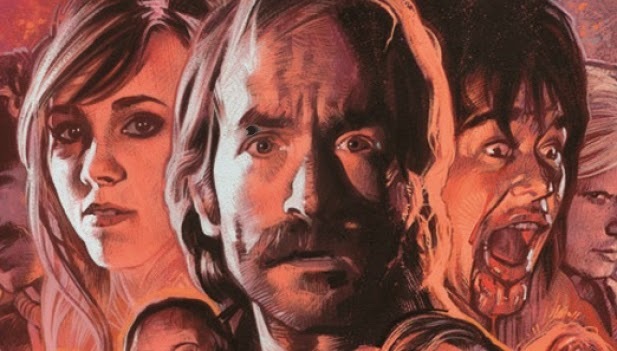 You can find my full-length review of Astron-6's feature film at Grolsch Film Works. Borne from a 1976 cult horror film of the same name, and serving as a sort-of sequel to that work, The Town That Dreaded Sundown is a stylish, referential slasher film made by one of the producers of hit TV show American Horror Story. Based on a series of actual late-night murders on lovers' lanes in the early 1950's, the film is set in the aptly-named Texarkana, a small border town between Texas and Arkansas. The 'phantom killer' of innocent teens - who was never brought to justice - still mars the town's history, and it is this checkered past that encourages a copycat killer to go out on the prowl. A teenage girl who survives the killer's rampage starts digging into the history of the murders, and puts herself in grave danger by doing so. With precise, weathered production values capturing the look and texture of contemporary Texas, the film is expensively shot and requisitely twisty, but falls a little flat by the conclusion. As is often the case with slasher movies of this type, the preceding 3/4ths are much more fun than the reveal. The 40th anniversary restoration of this low-budget, grisly masterpiece genuinely looked great - it avoided the trap of any pre-packaged digital cleanliness. As it goes, nothing can make this film feel less grimy. Hooper, who included real rotting animal carcasses on set, gives a texture of grubbiness and gristle to the film. And to say that a large chunk of the latter portion involves little more than hysterical running and screaming, there isn't a moment that isn't oppressively frightening. One can't help but to see the twin woes of the early 1970s - the Vietnam War and economic recession - creep their way into the film. There is, of course, a portrait of dispossessed slaughterhouse workers looking to continue the family tradition - right down to their eerie recreation of domestic bliss. From the cheerful front-porch facade of Leatherface's family home to Marilyn Burns' invitation to a grotesque dinner, something is deeply amiss in those much-avowed 'hearts and minds' of the American public. Ultimately, Marilyn Burns' catatonic eyes and incessant screaming are the most disturbingly memorable elements of the film; they worm their way into your skull. A simpering madman pursues a brutalised innocent; and the final few shots show a man tilting at windmills. 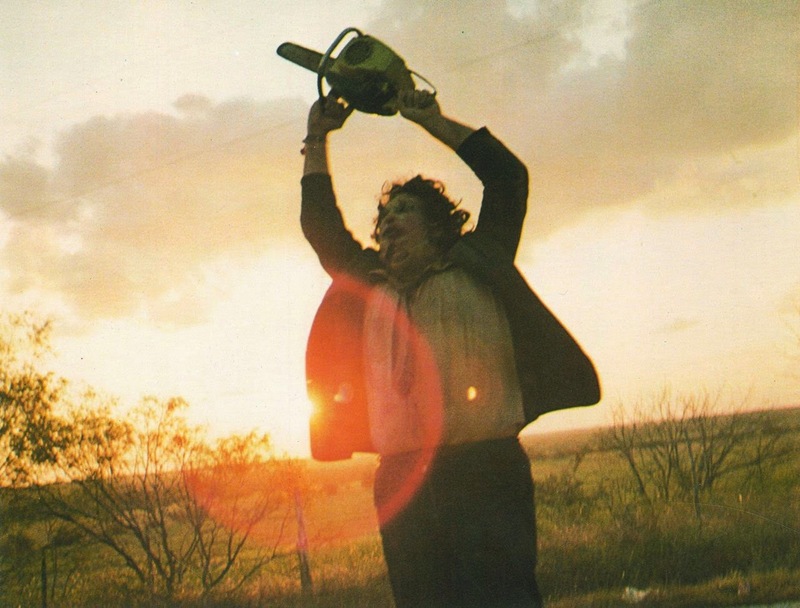 With the imprecise brute force that it entails, Leatherface swings away wildly when there's nothing left to destroy. He will pulverise anything in his wake. It's clear that The Texas Chainsaw Massacre's twisted black heart has an allegorical impulse at its centre; and Hooper's vision of his nation's moral degradation is as blisteringly traumatic as it was in 1973.